A reasonably priced cover that will retain its color and strength in extended outdoor exposure, while providing a high degree of water resistance and UV protection. Developed in partnership with Safety Components Fabric Technologies (SCFTI), a U.S. textile firm and leader in woven fabric technology with roots going back over 100 years. Eco Conservation Friendly - We protect your vehicle and your selection of this fabric helps to protect our environment! A superior fade resistant solution-dye production process that SAVES 1,000 gallons of water for every 1,000 yards of fabric produced. Fade Resistant - Each fiber is a solid color, NOT surface dyed. Superior Shape Retention - Minimal stretch fibers resist sagging. Strong - Double 150 denier yarns woven in both the machine and cross direction. Luxurious "Hand" - Soft finish glides over the vehicle finish. Highly Water Resistant - HydroMax finish on BOTH sides of the fabric helps protect against rain, bird droppings and dust, while maintaining the fabric’s breathability. Excellent UV Protection - Ideal for use in areas subject to prolonged sun exposure. Easy to Use - Weight is "just right"... heavy enough to stay in place and light enough to easily handle. 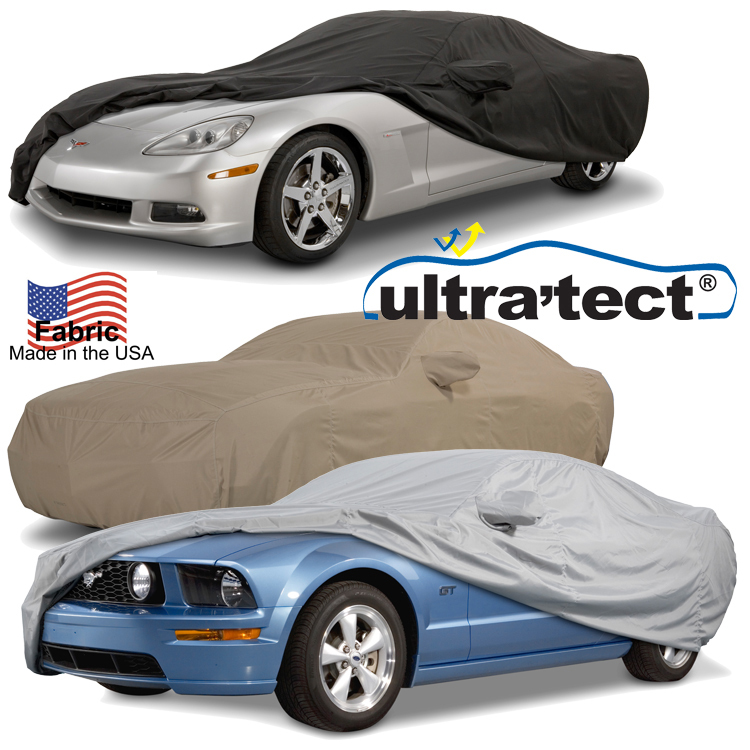 Easy to Clean - Most mid-size vehicle covers can be cleaned in a home washer and dryer.